Visit the nearby popular icons of Mumbai - Sea view, skyline and Sachin's playground! 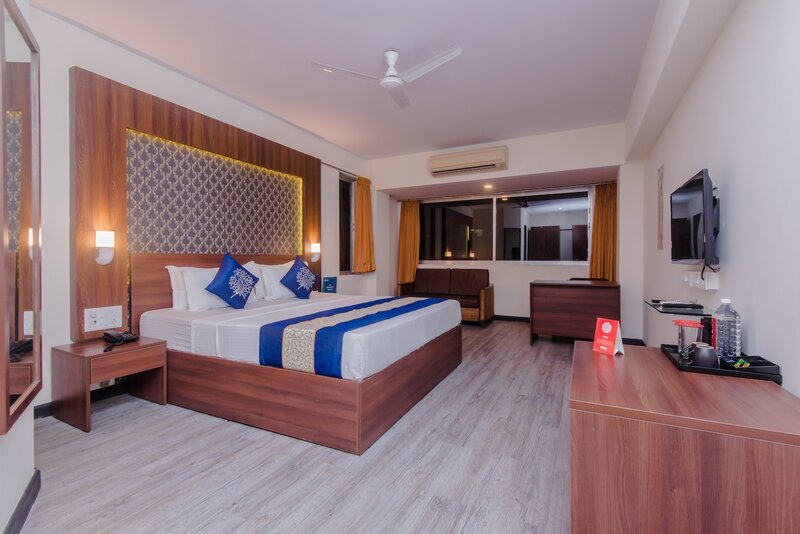 Hotel Shantidoot is located right in the heart of Mumbai. With easy access to the local railway network, guests get the option to beat the Mumbai traffic and get to their destination on time. The hotel provides a premium stay at a very pocket-friendly price. The rooms are spacious with rich and chic decor. Modern amenities such as free WiFi, geyser, parking and laundry are provided for modern travellers. Along with this, this pet-friendly hotel also caters to your four-legged best mate. The iconic Siddhi Vinayak Temple, Worli Sea-Face, and Shivaji Park are in close proximity.